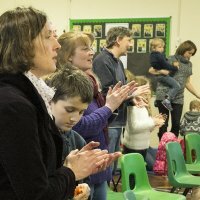 We aim to be a friendly and welcoming community so please come along and see for yourself. We would love to meet you! Please note: From time to time we join with other services and meet at a different time. See Calendar for details. 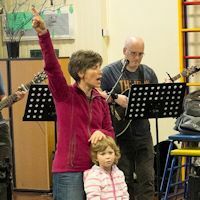 At Informal Worship we praise God and learn more about Him in a relaxed setting with less formality and structure than is found in the more traditional services. It includes more modern music with a worship band (guitar, keyboard, etc), input from the leader and prayer. 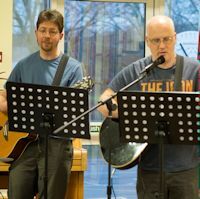 We have a list of links to Youtube clips of songs we sing at Informal Worship. Go to Music Links page.